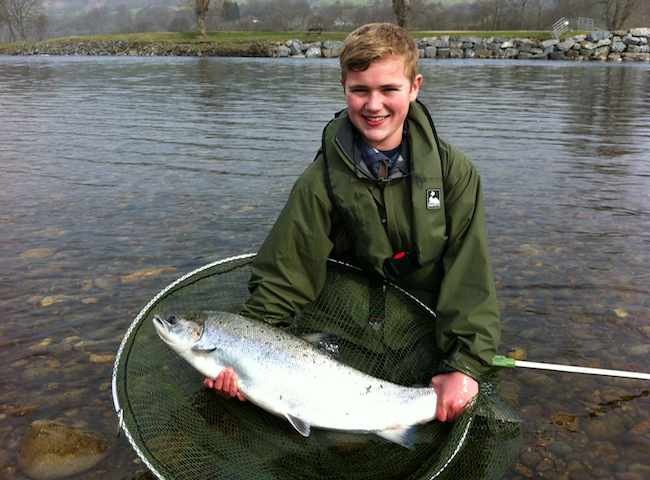 This fine salmon was caught within a dozen casts by this River Tay salmon fisher on his very first days salmon fishing. Sometimes in this amazing sport a salmon will be waiting to cooperate. 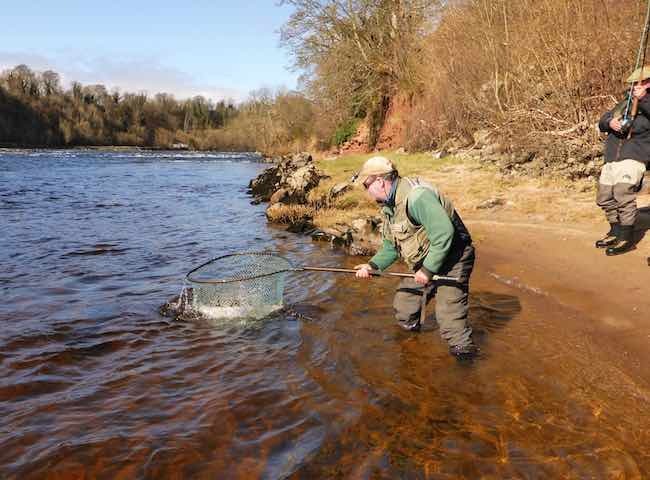 There's nothing that compares to the thrill of catching one of these highly prized River Tay Spring salmon. Treat your business associates to a glimpse of true Scottish silverware next Spring. 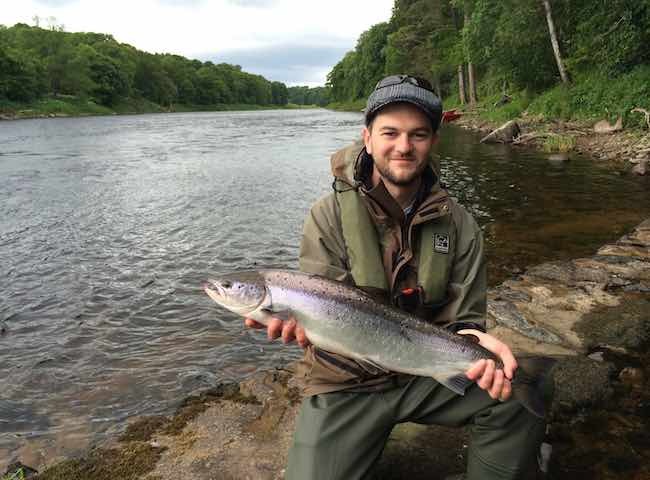 Treat yourselves to a chance of catching a heavyweight salmon from Scotland's leading salmon fishing destination. This was a perfect 20lbs fish that was captured during the month of March. This is the most treasured sight in sport fishing in the entire northern hemisphere. This is a fresh run River Tay Spring salmon moments before its safe release. Book your Spring salmon fishing event now. 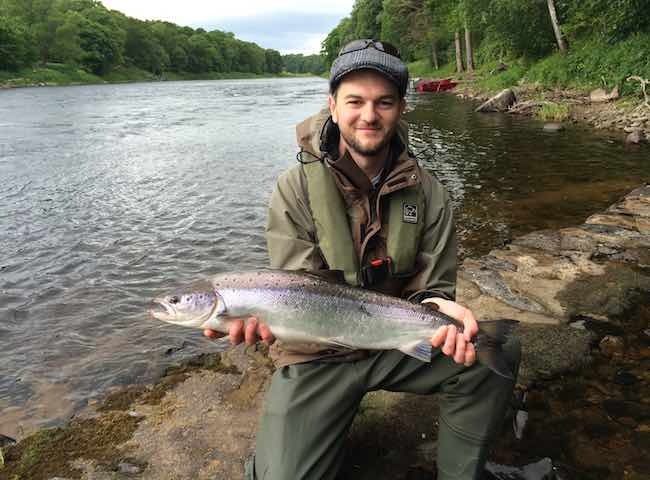 Here's a perfect example of what a fresh run River Tay salmon looks like. 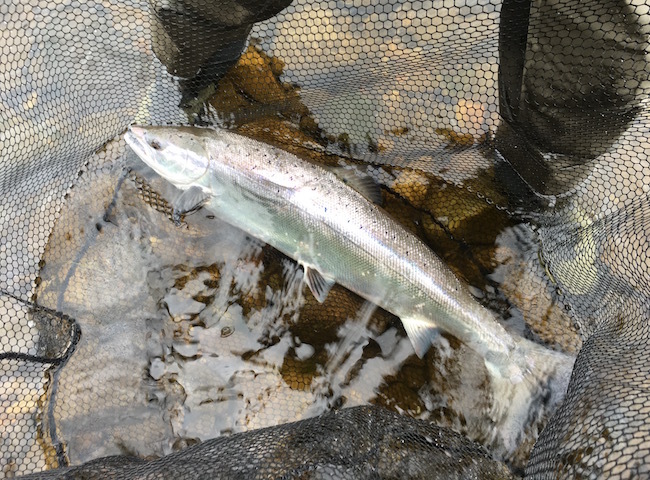 This perfect fish was caught during the month of July which is a beautiful Summer month for hosting a salmon fishing event day. 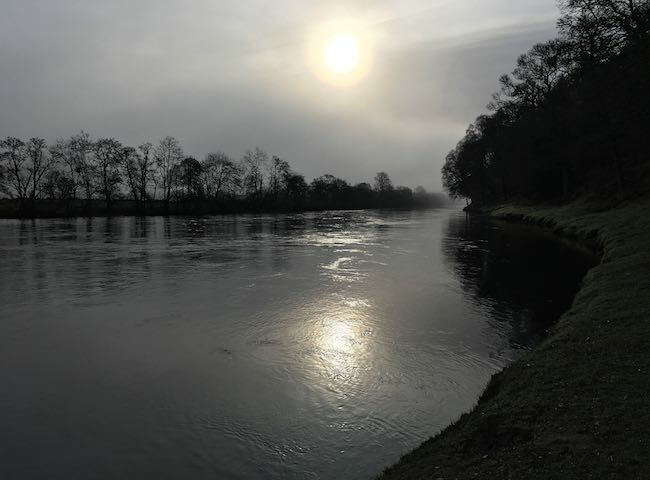 There's no better a setting to inspire & enthuse your key business associates than in the surroundings of Scotland's most famous River Tay. Treat yourselves to a day in paradise and choose the 'natural' option for your next hospitality event. 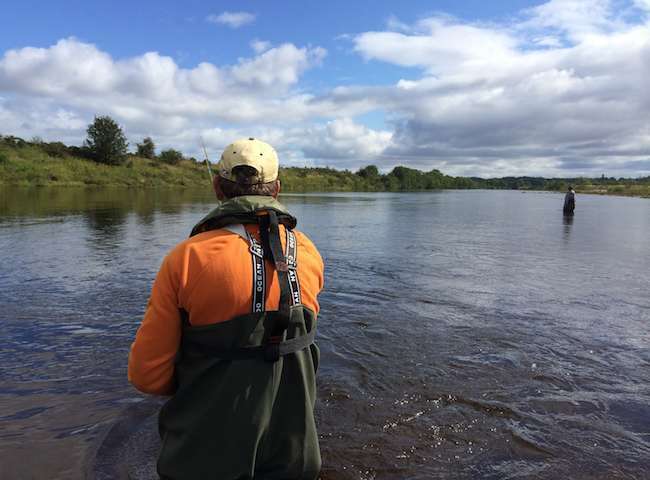 All River Tay salmon fishing event days commence with some effective salmon fishing tuition to get all guests up to speed quickly to maximise the days fishing opportunity. 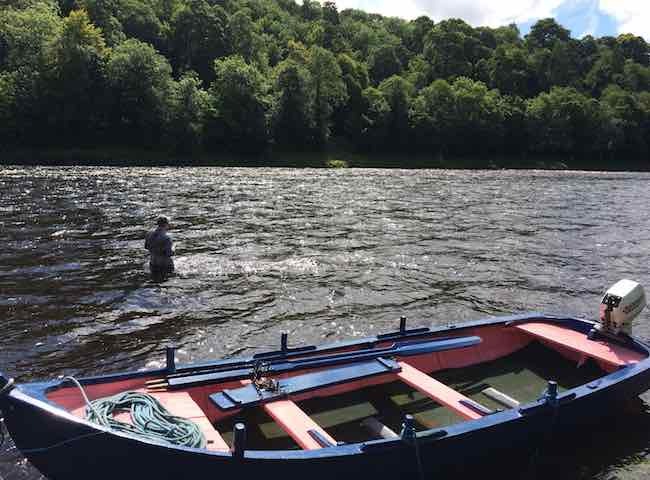 There's not only amazing scenery of the River Tay but you'll also experience a natural tranquility while you're on its fabulous riverbanks. Book an exposure to this magnificence for your business colleagues. 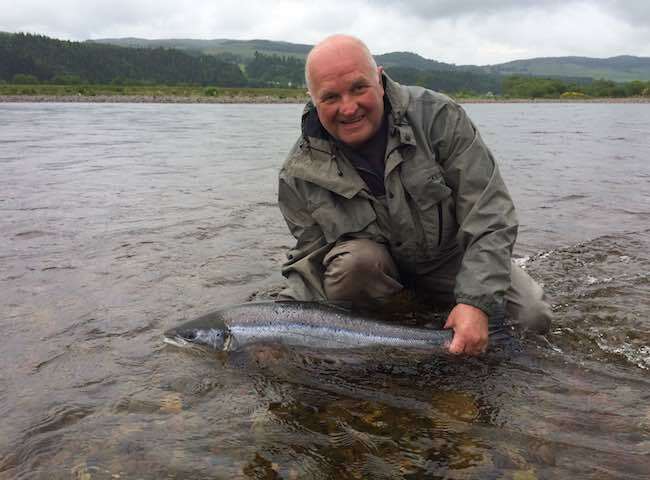 There's nothing that beats the excitement & thrill of eventually landing a perfect fresh run River Tay salmon. Book a catered salmon fishing event day and feel the excitement for yourself. 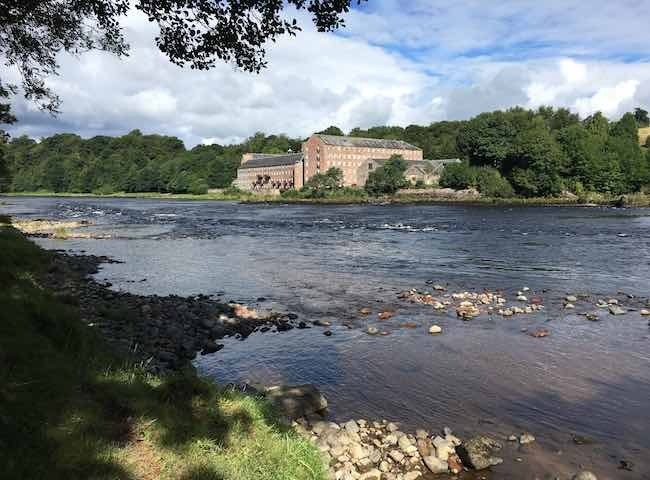 The River Tay is Scotland's most accessible salmon fishing destination and logistically the Tay lends itself well for a salmon fishing event being within easy commuting distance from Edinburgh & Glasgow. 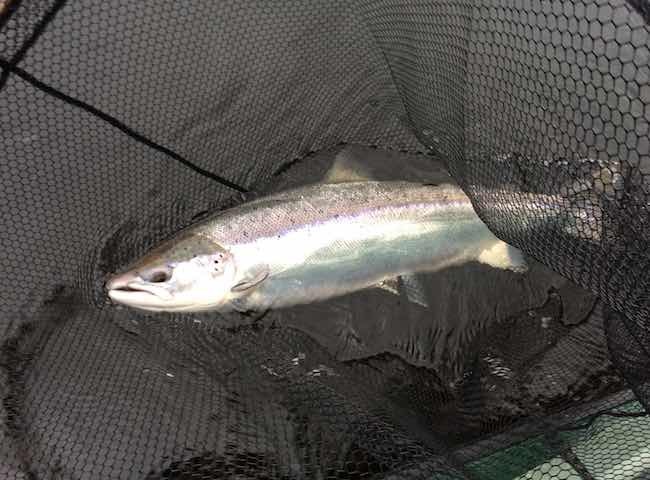 This fine fresh run salmon was caught on the River Tay during late Spring by this fortunate guest after only dozen or so casts after picking up a salmon fly rod for the first time.